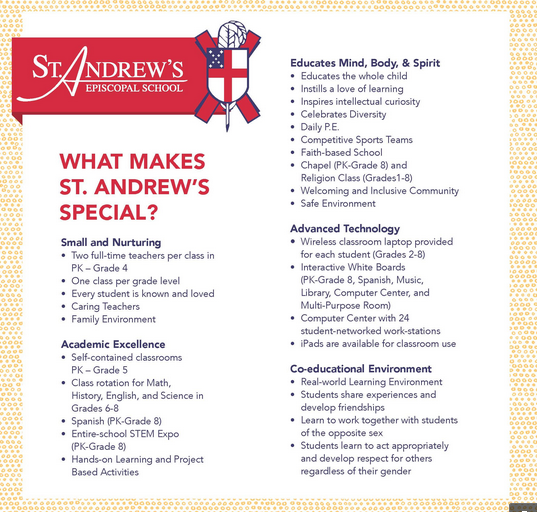 St. Andrew’s will host three open houses this school year: October 25, November 15, and December 6. All will begin at 1031 S. Carrollton Avenue. If you know of parents looking for a school for their children and would like them to receive a special invitation to our open houses, please e-mail their names and addresses to Lisa Witter at lwitter@standrewsepiscopalschool.org.